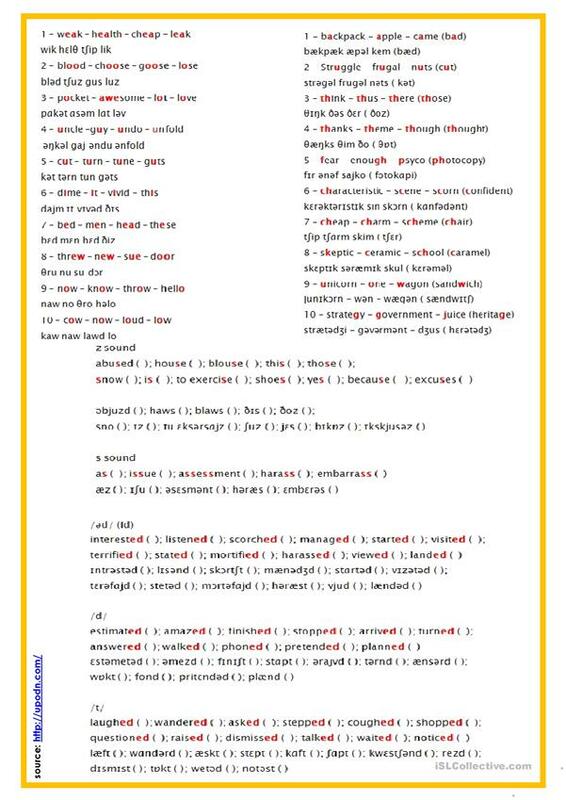 A worksheet dealing with phonetics and some of the major difficulties my students usually have (maybe the same as yours). There are 7 exercises to differentiate vowel and consonant sounds, to differentiate z and s sounds an three exercises with the ending “ed” sound of regular verbs in the past. After the students do the exercises, they’ll find the transcriptions on the second page for auto-correction. The teacher may want to check it orally after their own correction. The worksheet is completely editable / correctable to better fit your needs or your students’ vocabulary and level. Hope it’s useful. Thanks for downloading and have a nice day! The present downloadable worksheet is best suited for elementary school students and adults at Pre-intermediate (A2), Intermediate (B1) and Upper-intermediate (B2) level. 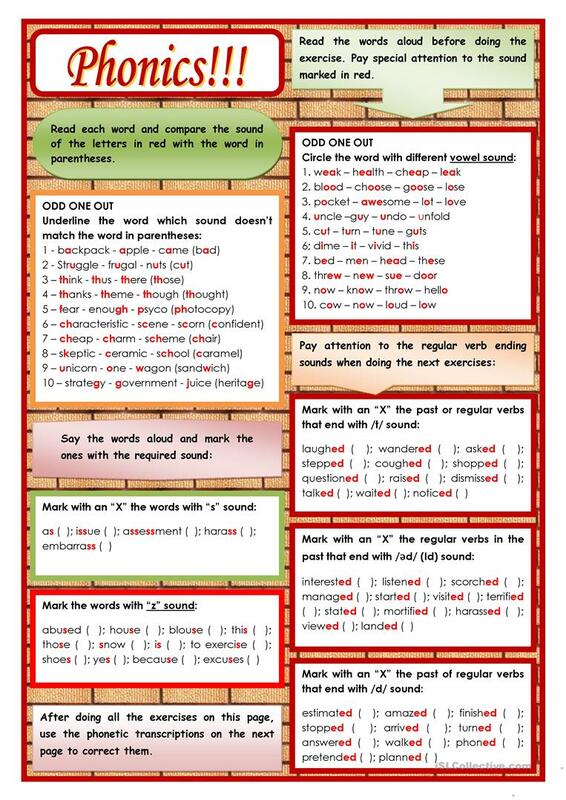 It is great for revising Consonants and vowels and Phonetics (pronunciation, IPA, phonetic symbols) in English, and was designed for honing your pupils' Listening, Speaking and Reading skills.